These settings may be edited by clicking on the edit icon (gear) for each item. 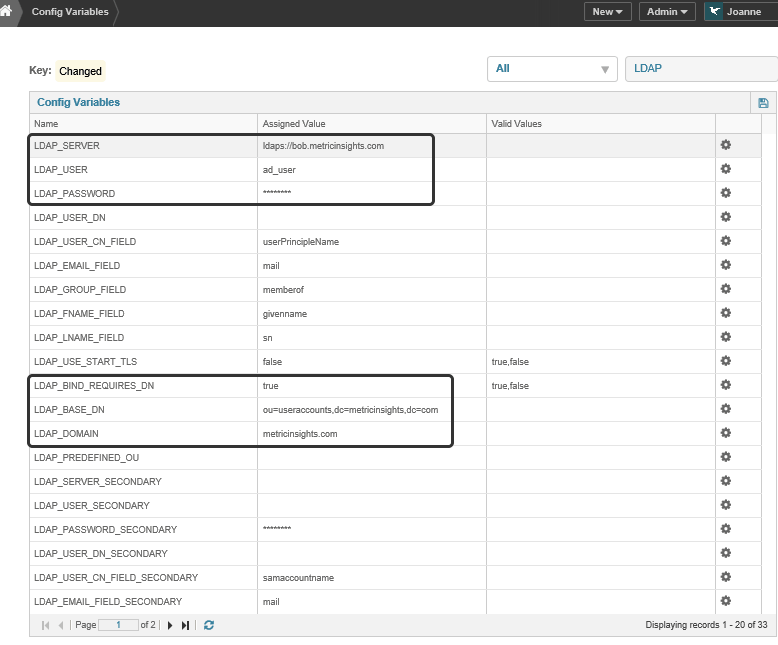 By setting these parameters correctly, you will be able to authenticate against LDAP. 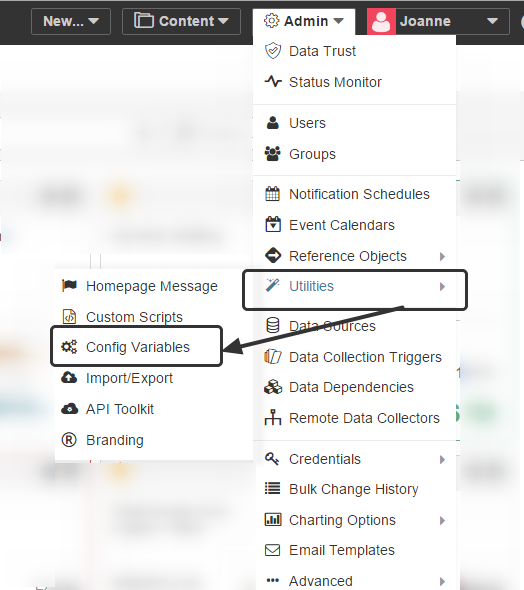 The remaining parameters are to synchcronize user information and are explained in Step 3. 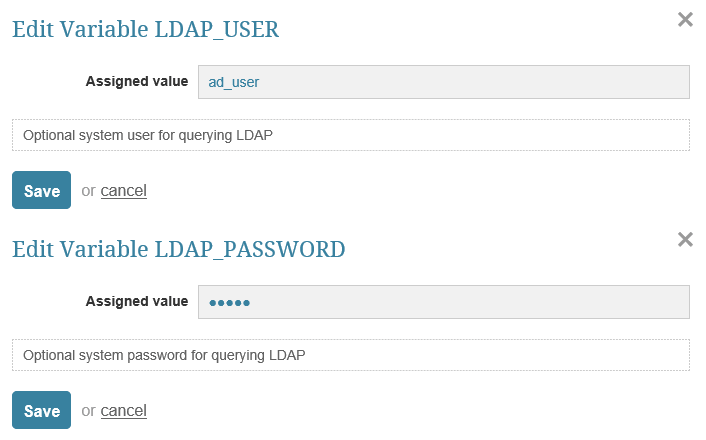 If your LDAP server requires a username and password to query the directory, set LDAP_USER and LDAP_PASSWORD accordingly. If you are using an OpenLDAP server, sometimes you can't authenticate as user@domain, but instead, need to authenticate as uid=user,dc=example,dc=com. If this is the case, set LDAP_BIND_REQUIRES_DN to 'true'. Otherwise, leave this as false. 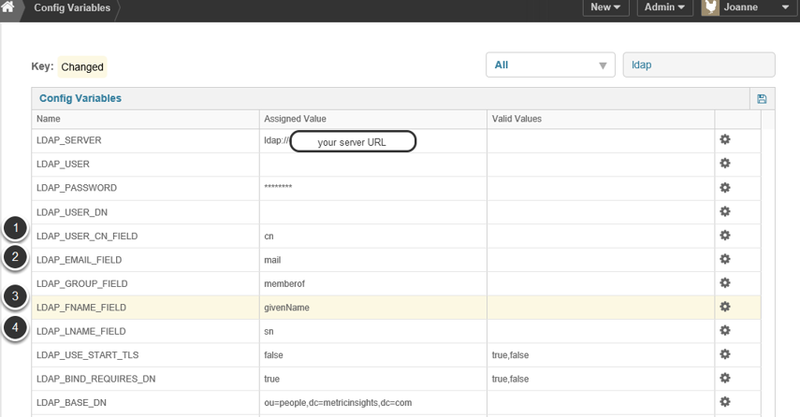 Base DN needed to query to login to. 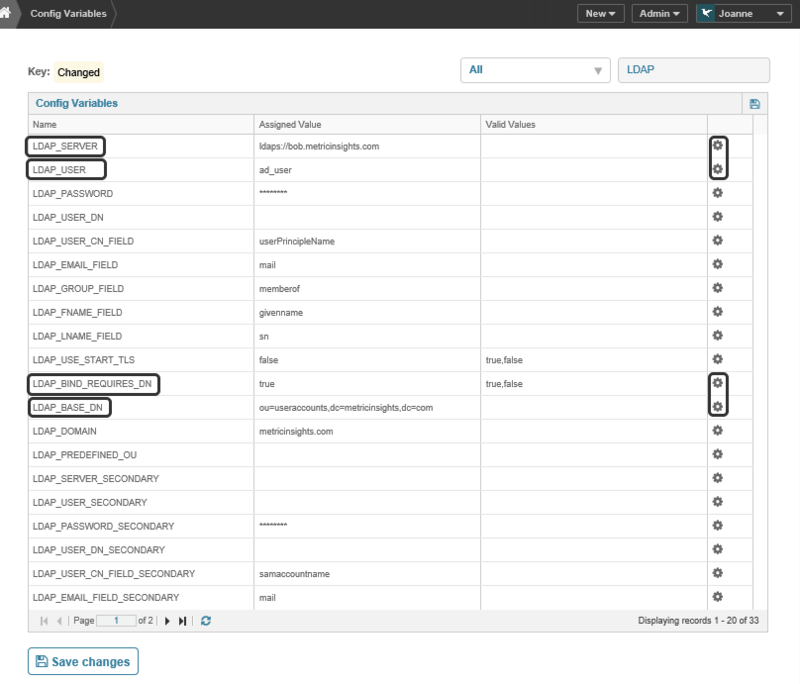 For example, if your username is uid=user,ou=useraccounts,dc=metricinsights,dc=com, then the BaseDN would be ou=useraccounts,dc=metricinsights,dc=com. Use this value for LDAP_BASE_DN. These should point to the corresponding LDAP field names. 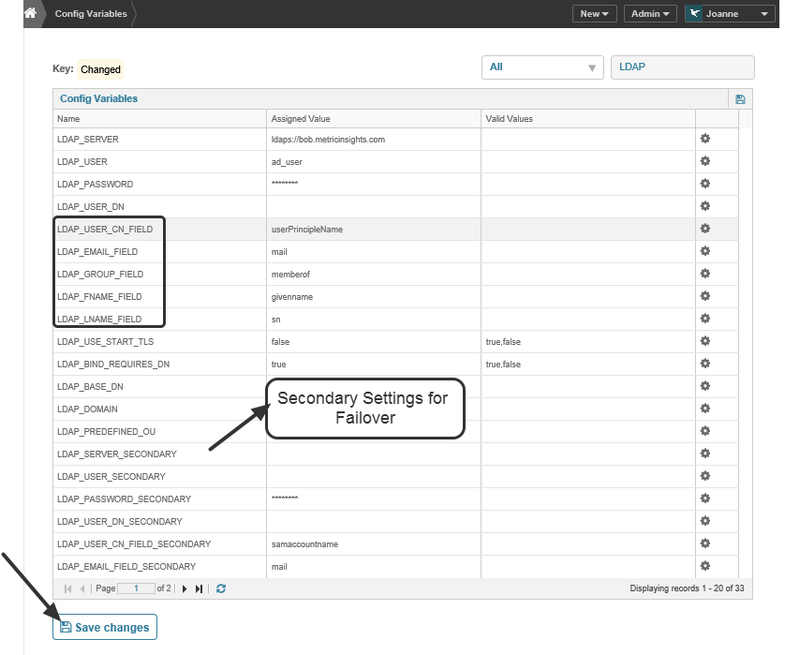 Finally, if you have a failover LDAP server, you will need to repeat these steps and setup the corresponding LDAP*_SECONDARY parameters to work for your failover LDAP server. Be certain to Save Changes to update the file.